This is for my Aunty Rosalie who in fact is no relative but my third year teacher at infant school! Mum and her became friends. That's lovely Ruth, she will be thrilled with it. A lot of work in that one, Ruth: I'm sure she'll love it. That's really super Ruth. She'll love it, I bet. Lovely card, did you make up the verse. Gorgeous Ruth, loving the leaf and the die cut? 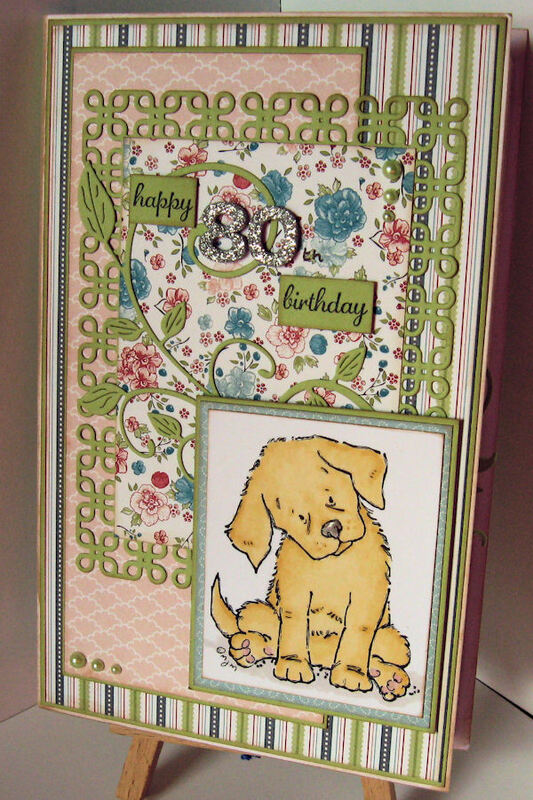 Punched border, what is that, is it Stampin Up? That is a goood verse too. They will all be very impressed with this. tis lovely ruth im sure she will treasure it and have it on diplay for a while . 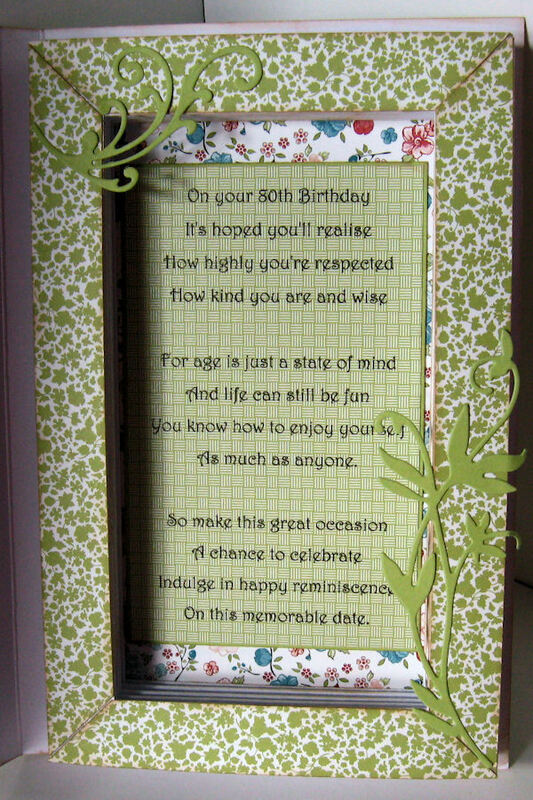 Lovely colours and diecuts Ruth, sure your Mum & Dad will love it as will aunty.